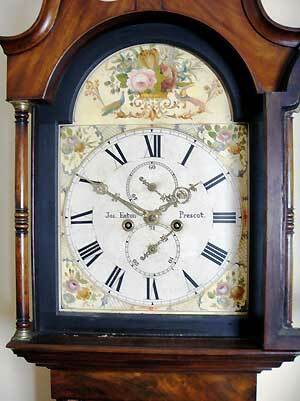 This is a fine mahogany longcase clock signed on the painted dial by Joseph Eaton Prescott. 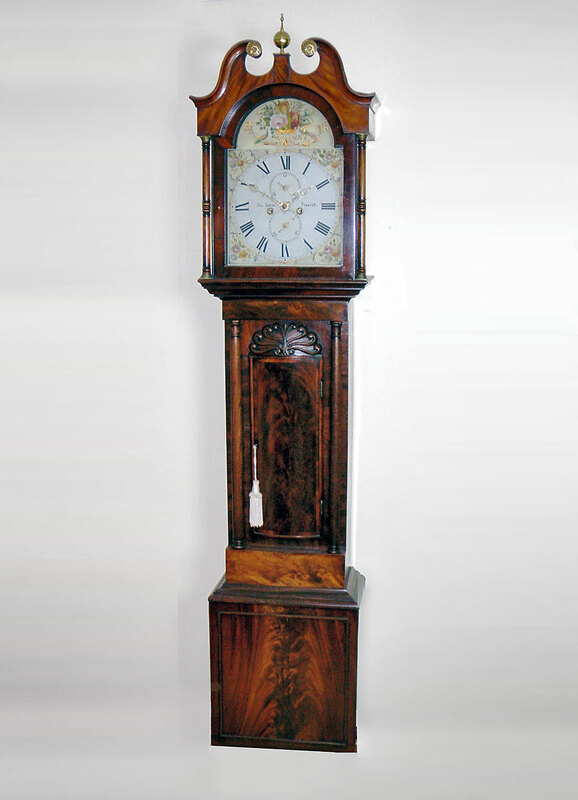 The clock has an eight-day movement with anchor escapement, striking the hours on a bell. The hood has a swan neck pediment on free-standing columns. 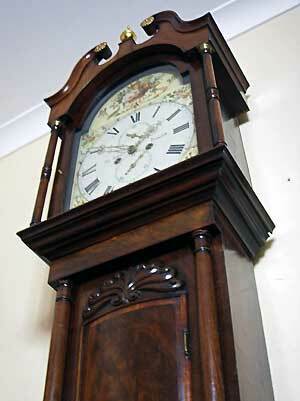 The clock trunk has carvings above the bow front door on full columns. The base has beading and an apron on bracket feet. 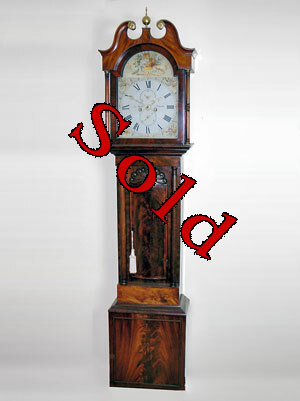 This clock is original throughout and is of fine proportions.